CPAG and the National Union of Students have joined forces to provide this definitive, up-to-date guide to financial support for students. 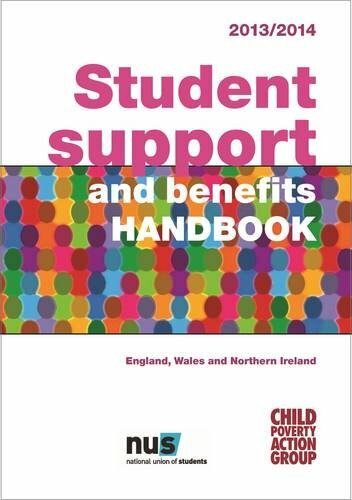 Written for student claimants and their advisers, this Handbook covers: student support for further and higher education how student income is treated for social security benefit, health benefit and tax credit purposes entitlement to means-tested benefits and support for both full-time and part-time students claiming tax credits while studying financial support when taking time out from studying welfare benefits and tax credits relevant to students council tax tax matters that affect students. 9781906076849 This edition has been fully revised and updated, and looks at the impact of welfare reform changes on students. Fully indexed and cross-referenced to law and regulation, this Handbook also contains useful summary tables and step-by-step guides to assist with calculating benefit entitlement in the light of student income.